The first LEGO Marvel Super Heroes video game featured perhaps the largest of the Marvel universe villains, Galactus the consumer of worlds. The sequel, LEGO Marvel Super Heroes 2 has a slightly smaller main antagonist, Kang the Conqueror, but he promises to be no less dangerous for the Marvel good guys like Rocket Racoon, Nick Fury, She-Hulk, and Captain America, to name a few. Kang the Conqueror is, “a time-travelling Super Villain who has stolen numerous cities from across time and space to form the expansive Open Hub World of Chronopolis,” according to the Warner Bros. Interactive Entertainment press release. It goes on the elaborate that his announcement comes via a new trailer for LEGO Marvel Super Heroes 2 that, “spotlights Kang in his ultimate quest to take over the universe, as well as the many Marvel locations that make up Chronopolis, including Ancient Egypt, New York City in 2099, Wakanda, Xandar and many other Marvel settings. 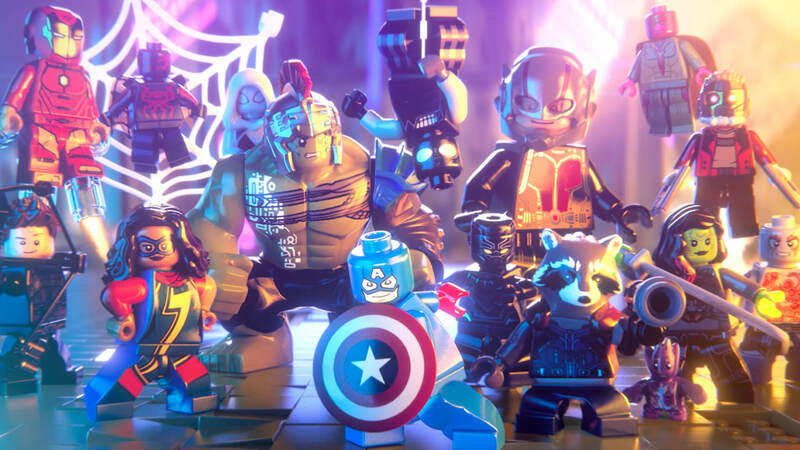 As with other LEGO titles, Marvel Super Heroes 2 promises to continue the tradition of being chock full of family friendly humor and sight gags. It will also feature a multiplayer mode for up to four players where gamers can play both competitively (super hero battle mode) and co-operatively. The game will also break new ground from predecessors with the ability to manipulate the very fabric of time. In addition to Kang, LEGO Marvel Super Heroes 2 has a bevy of new characters including a cross between Spiderman nemeses Carnage and Venom called Carnom. The game will also see Howard the Duck and his Iron Duck alter ego, Gwen Stacey and Deadpool combining to form the new Gwenpool character and Doc Oc, Vulture and Cosmo the Space Spacedog to add a few more. LEGO Marvel Super Heroes releases November 14, 2017, on PS4, Xbox One, PC and Nintendo Switch.